Scientists always want to do something new. They urge to discover the universe not only Earth is common among many space scientist. In order to fulfill this urge, they come up with new and different ideas to explore the universe and find out different facts about it. European Space Agency is busy in exploring the universe too, like all other space agencies. European Space Agency (ESA) has picked up Moon for their upcoming project. This agency has signed up a rocket marker ArianeGroup which will form a plan to send a rocket on the surface of Moon. In this project, they will try to harness the resources of the Moon. European Space Agency (ESA) is trying its best to start this project before 2025. Regolith- is the upper layer of the soil that is covering the bedrock. Scientists have done a contract of one year to mine this layer of the moon. 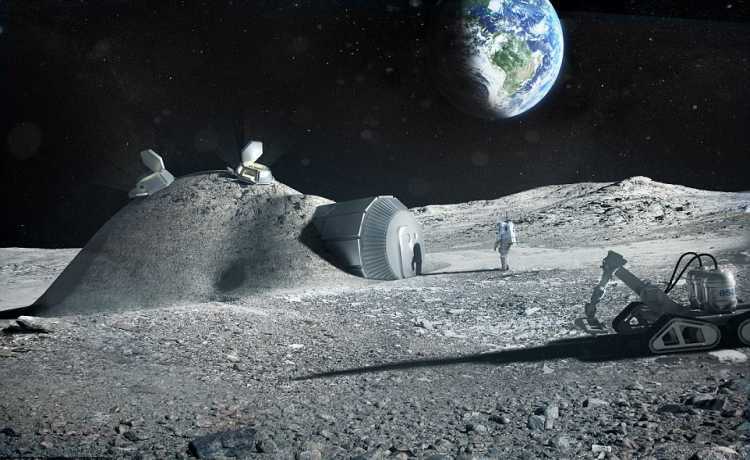 Foster and Partners, famous industrial architects, including others have worked with European Space Agency (ESA) to check the possibility of 3D printing using lunular soil to create moon bases. European Space Agency (ESA) and other agencies have already sent humans to the moon. Due to limited technological resources, humans cannot go any further. ESA is trying to do something new. They have planned to use the resources present on the moon. In other words in situ resource utilization will help scientist to discover the space more than ever before. Scientists will try to extract oxygen and water from regolith. This will ultimately help to produce fuel. This fuel will be the basic resource which will help scientist to go far in the space. Their target is to go to Mars and to other planets of the solar system. This is how the scientists want to continue their exploratory mission. Scientists are also saying that if they become successful in their mission then they find a long term benefit which is they will these resources on Earth.